At this step of the wizard, specify target server credentials. 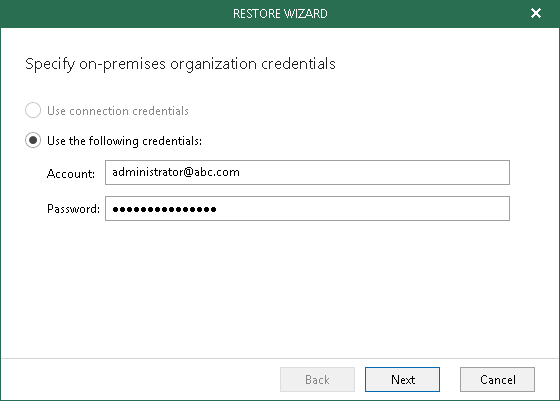 The credentials dialog might be different and depends upon the organization type you are restoring from. 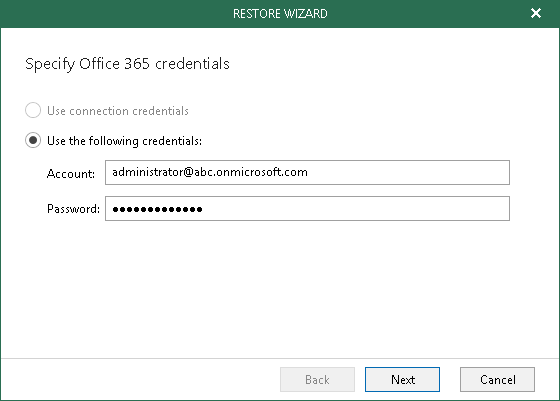 Specify valid credentials to access your Microsoft Office 365 organization and click Next. Specify valid credentials to access your On-Premises SharePoint organization and click Next.